Watch this demonstration on how to serge seam allowances together. Serging works on nearly any fabric. A serger trims and overlocks the seam allowances separately or together as it stitches. Threads author Sandra Miller shares her simple techniques for sewing common seam finishes in “Seam Finishes, Part 1” Threads #165 (Feb./March 2013) and in “Seam Allowances, Part 2” Threads #166 (April/May 2013). For Insider members, here’s a tutorial post on four additional methods for sewing clean-finished seams: Learn the Four Fastest Flat-Fell Seams. 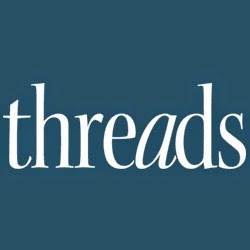 This video tutorial is part of the Threads Essential Techniques series. Also, don’t miss Sandra’s technique videos for sewing other common seam finishes. This one showed the sewing machine and serger working together, sharing screen time, for a stellar result. So often, the serger is treated as a stand alone, not a co-star. Evamarie, you need to request a cigar and a studio in Hollywood - you have vision. Please bring Threads to the big screen, pronto. These instructions really need to be done in higher contrasting thread and fabric. I'm having a hard time seeing exactly what you did. Not everyone's eyes are perfect. I fail to see the need for a serger in any of these videos. If your machine was made after 1990 in all liklihood you have one ore more overcast stitches on it. Together with a 'G' foot you can do any of those things. If you have an edgecutting attachment the need for a serger is reduced even further. The only purpose or advantage a serger has is its simultaneous sew/overcast/cut ability. If you're not going to use it that way why spend the money?